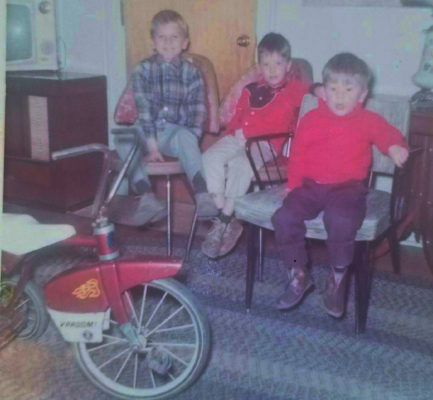 Pop's Dream – Every child should experience the thrill of a 1st bike! 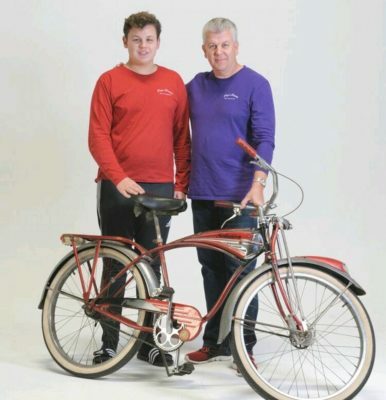 Pop’s Dream is a non-profit organization whose primary mission is to provide a new bicycle to an under-served child, and grocery gift cards to their families. Even in this somewhat affluent region, you don’t have to look very far to find someone far less fortunate than yourself. A new bike to a child represents fun, independence, freedom. And to a family experiencing hard times, $100 can buy a lot of groceries. 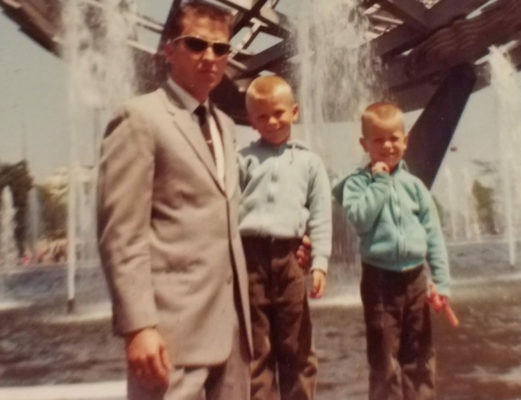 I started Pop’s Dream to honor my Father’s memory, and his well known love of all things mechanical, especially bicycles, and his private generosity in rebuilding old broken bikes and anonymously donating them to kids whose families were going through tough times. Who Are The Bikes For? Follow us on social media and make a donation. We welcome any amount you are able to give. We can purchase one new bike for $50, while grocery gift cards are purchased in increments of $100 to assist families in need. Pop’s Dream is an IRS registered 501c3, and all donors will receive a Thank You letter acknowledging their specific donation, to claim on their tax statement. I hope to dramatically increase the amount of new bikes and grocery gift cards I buy each year, with 400 bicycles and $7,000 in grocery card purchases being the goal for 2018. I was fortunate to have received a new bike twice at Christmas in my youth, but the one that is indelibly stamped in my memory was the year I received my first ten speed bike. I was about ten years old, and due to some change in family dynamics we had recently moved in with my grandmother. This meant leaving behind my first friendships, changing schools, and trying to make sense of the almost palpable chill in my parents relationship. All I really wanted that year was a ten speed. It hadn’t appeared on my November birthday, so Christmas was my last hope. That morning, my brothers and I charged downstairs, anxious to see what gifts awaited us. I excitedly eyed the whole room, and while there were several other wrapped gifts awaiting me, the desired bike was absent. Trying hard to conceal my disappointment, I opened up the presents, making sure to thank my mom and dad, and my grandmother for each one given. After about fifteen minutes, my father said “Jeffrey, go get the trash can in the other room for all this wrapping paper!” I got up from aside the tree, and started towards the kitchen, barely noticing a slight smile on my Mom’s face as I walked past her. Walking into the kitchen, I was instantly awash in a wave of euphoria as I saw the gleaming yellow chrome ten speed, with a big red bow attached to it, resting on its kickstand before me. In an instant, all the challenges and sadness of being uprooted from our old house and neighborhood, were swept away. That moment in time, and the emotions tied to it, are as fresh to me today over forty years later. That moment, with the realization of fun, freedom and independence that that bike would deliver, helped to inspire me to start this charity, to provide to kids and their families who may also be going through hard times, a chance to rise above their challenges, if only for a moment.